WHAT A FIND! PLUS Immediate possession! New roof, new vinyl siding, new carpet, new dishwasher and new washer and dryer! Super nice end unit condo with wooded rear yard. 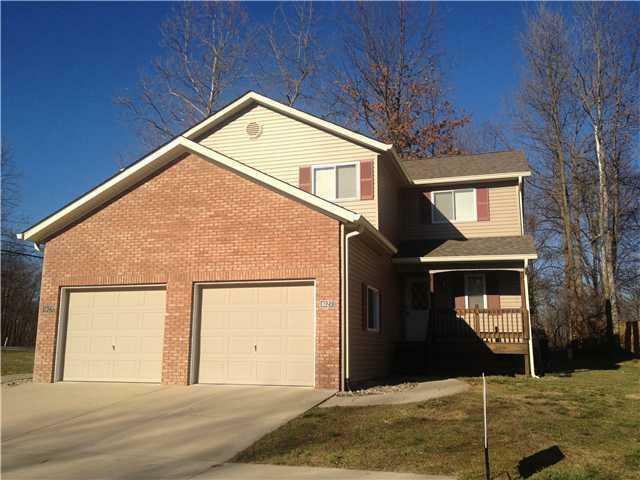 Spacious 3 bedrooms with 1.5 baths, all appliances, wood deck, covered front porch and attached 1 car garage! Convenient to Bloomington and Ellettsville.